James Smethurst's The Black Arts Movement: Literary Nationalism in the 1960s and 1970s (2005) has been an invaluable resource for my own research and writings, and more important, his book stands as a vital history and examination of one of the most defining moments in black literary art and cultural organizing. Smethurst's book is at the intersection of Black Arts texts and scholarship. I first met Smethurst at a Society for Textual Scholarship conference in New York City in 2001. I was a graduate student at the time. I was presenting research on editions of Richard Wright's autobiography, and Smethurst, who was on a panel William J. Harris and Richard Yarborough, was presenting on Black Arts. During his presentation, Smethurst mentioned in passing that he was working on a book on the Black Arts Movement, and later during the day, he and I discussed our shared interests on the subject. 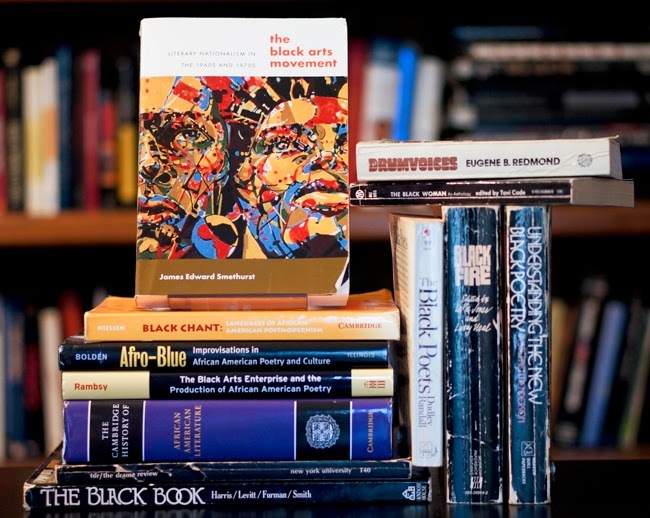 Among other attributes, The Black Arts Movement serves as a connector to a wide range of Black arts texts and scholarly works.